Reduce your carbon footprint and utility bills at the same time. 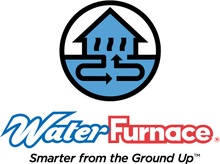 Water Furnace geothermal systems use the free, renewable energy found in your own back yard to save up to 70% on heating, cooling, and hot water costs. Often used when adequate land surface is available. Depending on geothermal system needs and space available, pipes are placed in trenches that range in length from 100 to 400 feet. 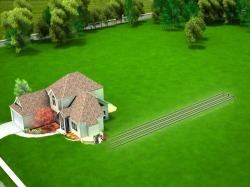 The ideal choice for a geothermal heat pump when available land surface is limited. Well drilling equipment is used to bore small-diameter holes from 100 to 400 feet deep. Very economical to install when a large body of water is available for use by the geothermal heating and cooling system. 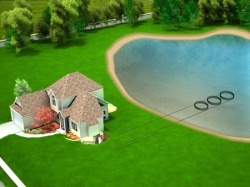 Coils of pipe are simply placed on the bottom of the pond or lake to capture the geothermal energy. 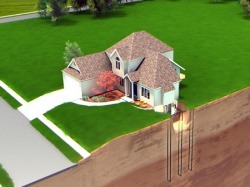 In ideal conditions, an open-loop application can be the most economical type of geothermal system. These use groundwater from a well as a direct energy source. An exciting new tax credit is now available for home and commercial building owners who install geothermal heating and cooling systems through the Energy Improvement and Extension Act of 2008 (H.R. 1424). H.R. 1424 offers a onetime tax credit of 30% of the total investment for homeowners who install residential ground loop or ground water geothermal heat pumps. A credit of 10% of the total investment is also available (no maximum) for a commercial system installation. Find our featured Heating and Air Conditioning Contractors in Air Conditioning Repair, and Heating Repair featured as a York, Nebraska Business in York Marketplace.